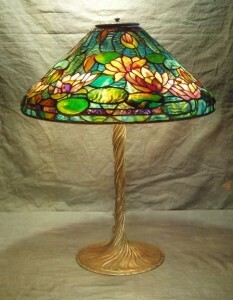 Completed at the end of August ’08 as a new lamp for our showroom, this 20″ Waterlily shade was a fun piece to create. 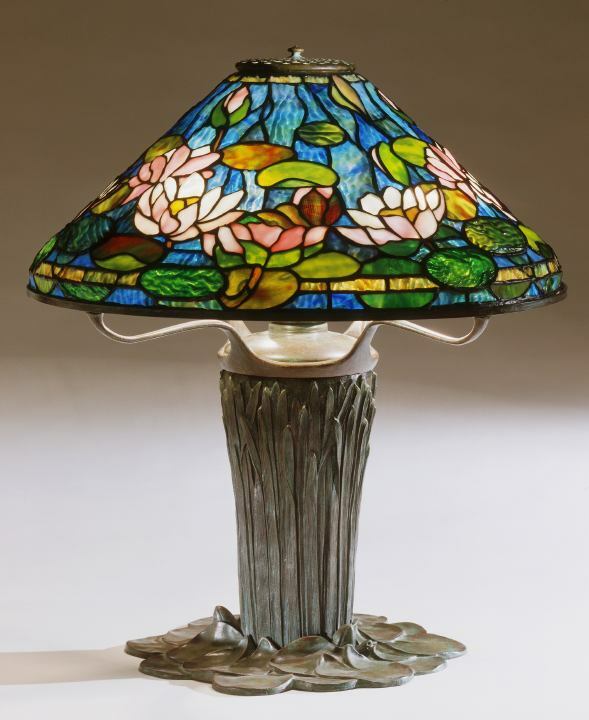 Using rippled water glass, the multi-colored waterlilies float on the tranquil surface of the pond in one of Tiffany Studio’s most popular lamp designs. The first two photographs show how we make our color selections on the light table while laying out the glass for the shade. In the first photo, 1/3 of the lamp is pictured with most of the flowers still to be selected. 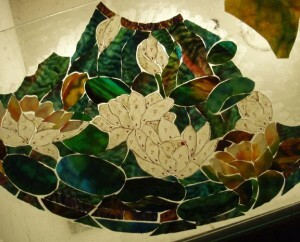 The second photograph shows the other 2/3 of the lamp completely laid out and ready for foiling. 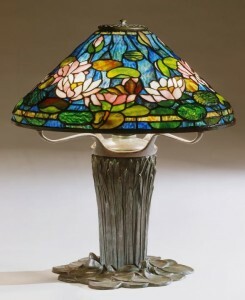 The 20″ Waterlily has been one of our most popular reproduction Tiffany shade designs. 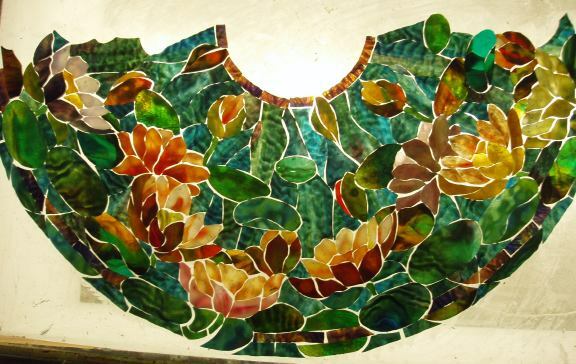 Over the last 22 years, we have created 18 renditions of this pattern. 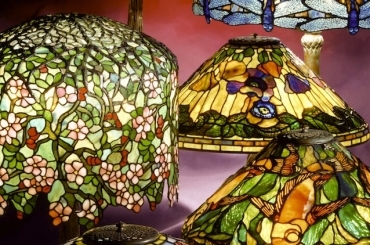 The shade makes a spectacular chandelier fixture, and an impressive table lamp. The Twisted Vine base (pictured right) has a slender grace that emulates the flower’s stems reaching from the bottom of the pond to the floating flowers above. This stunning shade is currently available in our showroom. The impressive Cattail base completes the pond motif of the lamp with lily pads and cattail foliage rendered in high relief below the shade. The example pictured to the left was created for our showroom in 1991 and sold to a local client.